PARIS (Reuters) – A little over a year ago, Emmanuel Macron was sitting pretty in the polls, a 39-year-old president in a hurry, with ambitious plans and the hopes of a nation riding on his shoulders. In recent months his popularity has crumbled, even falling below his luckless predecessor Francois Hollande at the same point in his presidency. Last week, Macron’s approval rating was just 29 percent, down from a high of 66. As if to hammer home the shift in sentiment, consumer confidence has fallen to its lowest level in more than two years. The same measure had soared in the wake of Macron’s May 2017 election victory. The reasons for the volte-face are multiple and overlapping: voters on the center-left, many of whom took a chance on Macron, say his policies, particularly cutting a wealth tax, favor the rich. They often describe his manner as arrogant. A scandal involving an Elysee Palace security official, caught on camera beating up May Day protesters, has tarnished the president. 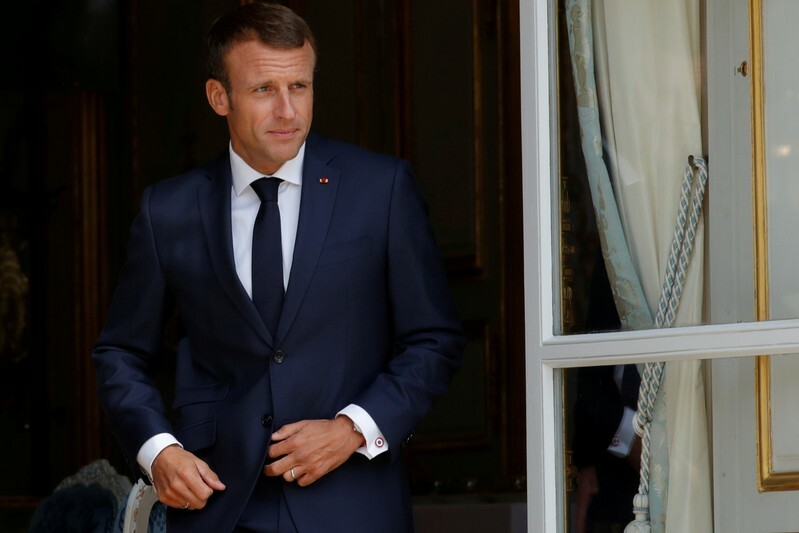 It raised questions about how the young official, Alexandre Benalla, was promoted so quickly, while the Elysee’s foot-dragging in response prompted suggestions of a cover-up. In quick succession two ministers resigned, the popular environment minister over delays in reducing nuclear dependence, and the sports minister, for personal reasons. A third, interior minister Gerard Collomb, a close Macron ally, will step down next year to run again as mayor of his home city Lyon. It is Collomb’s departure that has perhaps thrust the knife in deepest. 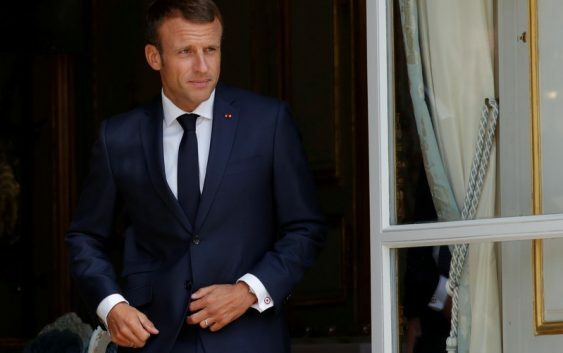 Before he announced his plans, he spoke of how the Macron team “lacked humility”, and lamented several mistakes, in particular the handling of the Benalla affair. So what does the dramatic slump in popularity mean for Macron and his ability to lead, at home and in Europe? Close advisers are quick to say it means nothing. They acknowledge missteps, such as the Elysee’s decision to release a video of Macron complaining about how much money was being spent on social benefits with little impact. But they say he was elected on the promise of fundamental economic and social reforms and is determined to carry them out over the course of his five-year term, no matter what. “The French people recognize two essential things: that the president sticks to his promises … and that, while the pace of reform is extremely rapid, the impact is not yet visible on the ground and will take time to emerge,” said a senior Elysee official, speaking on condition of anonymity. There’s an acknowledgement too that the macroeconomic picture is not as rosy as once predicted, with growth forecasts pared back and unemployment stuck at around 9 percent, both of which are hampering Macron’s ability to deliver. “French people are skeptical, this is the French culture,” Finance Minister Bruno Le Maire told reporters on Wednesday, urging voters to be patient. Some voters are unwilling to give the benefit of the doubt. Another Paris resident, Regis, who did not want to give his full name, accused Macron of “hammering the working class”. There are also signs that the collapse in popularity, and agitation in parliament over the Benalla affair, are having some impact on the government’s agenda. Constitutional reforms planned for the autumn, including cutting the number of lawmakers by a third and introducing some proportional representation, have been delayed. Nonetheless, with a large, loyal majority in the Assembly, Macron will likely not need to deviate too far off course. Perhaps in an effort to combat the “president of the rich” tag, two policy announcements in the space of a week this month targeted the sick and the poor: 8 billion euros of extra spending for the lowest earners, and an additional 400 million euros on healthcare. The headline promises in the 2019 budget, briefed to journalists this week, emphasize money being returned to taxpayers rather than more reforms: 6 billion euros of tax cuts for households and moves to boost purchasing power. But advisers say the overall reform agenda, plotted in detail before taking office, remains on track, with changes to pensions and unemployment benefits coming up. Yet will Macron himself be chastened by the poll slump, adapting his style to try raise his appeal? The indications so far are no. Aides defend his straight-talking and sometimes punchy manner, which he mixes with “Jupiterian” speeches – lofty pronouncements as if handed down from the Roman god of gods. He has been forthright about how he sees the EU elections next May as a battle between leaders like himself – who he describes as progressive, pro-EU liberals – and populist, far-right nationalists. The same sort of battle is likely to play out domestically in the next presidential election in 2022, with Macron already limbering up for a showdown with the far-right. In a sign that the communications strategy is changing, the Elysee has drafted in a new smooth-talking spokesman, Sylvain Fort, who is cut from the same intellectual cloth as Macron. Yet observers point out that while the tumbling polls make for good headlines, it’s not out of the ordinary in France. Most presidents since World War Two have struggled to connect with voters 18 months into office. The French want the advantages of change without the associated hardships, she says. Macron recognizes that and just needs to make sure he conveys the message right. “I would imagine his communications team is telling him to be a little bit more careful, that’s all,” she said.